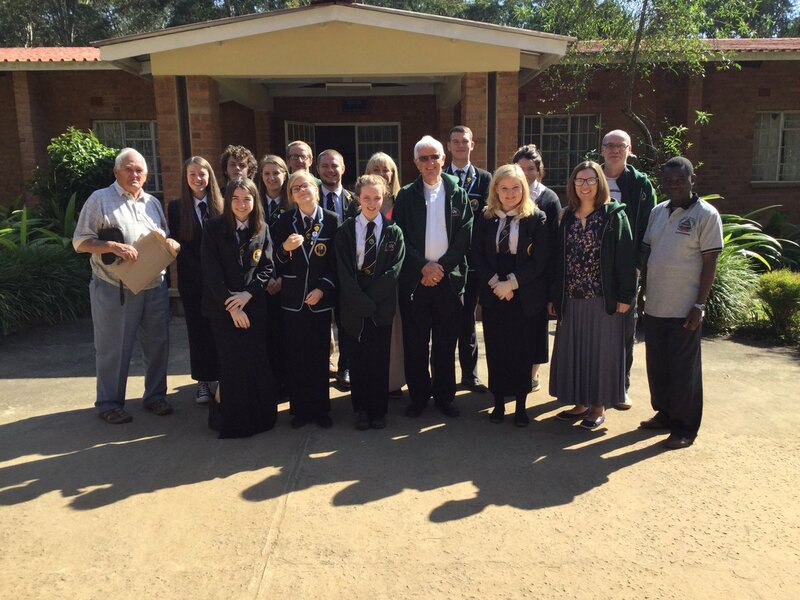 As a school community we are extremely proud of our ongoing partnership with our sisters and brothers in the parish of Saint Peter’s in Mzuzu, Malawi. In June of 2017, a team of four teachers and ten pupils from St. Matthew’s Academy, Saltcoats made the long journey to Mzuzu in Malawi, for an exchange trip with their Partnership school, St. Peter’s in Mzuzu. This was an opportunity for the team to assist with the opening of the new Science block, containing two Laboratories and hand over the science equipment donated by the St Matthew’s Academy Science Department, and to distribute funds raised to different projects and partners. Some of these projects included the Women’s Development Centre in Mzuzu, who care for widows and children and try to give some of the women a job; the Mary Martha Orphan Care and Rehabilitation Centre, set up by a wonderful man Roderick and his wife Martha, who allow orphaned children a place to play and occasionally have a hot meal; a small village in the mountains called Joto, which is largely self-sufficient, but like others, has suffered from illness due to poor sanitary conditions and whose population of children well outnumbers the adults. The group departed from Glasgow airport on Friday 15th June for a long journey which would last over 36 hours, and included three flights as well as an eight hour bus journey. Our first challenge was in Lilongwe, where we discovered that only 7 of our 30 cases had arrived. The majority of those lost were the ones which contained the gifts for our hosts in Malawi. The remainder of the cases did not arrive until the following Wednesday, when we experienced great excitement just to find our clothes and toiletries. This in itself, gave us an insight into how our friends in Malawi live; with many fewer possessions than us, and little access to what we might consider basics. We were welcomed at the airport with a great deal of warmth and genuine excitement. This was indeed the “Warm heart of Africa”. The colours, smells and warmth of the people are something which will stay with our group for a very long time. The deputy head master, one of the nuns and a former St Peter’s student who had visited St Matthew’s had taken the time to travel around 6 hours to welcome us. The strong bond between our partners was instantly felt and as commented one pupil, “We were home”. Settled in our accommodation and feeling quite exhausted, it was pretty hard to get up at 7 a.m. But in Malawi the days are short and you have to live by the sun; up at 6 a.m. and down at 6 p.m.! After a Malawian breakfast of porridge, we went out to meet our buddies planning to visit the city of Mzuzu. But the heavy rain soon put a stop to that! After lunch we headed to the Mary Martha Orphanage Care Centre which is one of the projects we support. 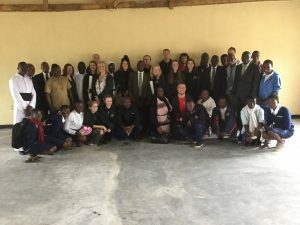 Unfortunately we arrived too late to be with the children for a special lunch which we had funded and which consisted of chicken and nsima – the staple food of the country which is made from maize flour and water. We already knew that the children only received meat when we, as a community, provided it. It was one of many reality checks to those of us who are able to eat well every day of every week. The children were ecstatic to see us and thrilled with the gifts of toothbrushes, t-shirts, balloons and hula hoops. We were taken aback by such warmth and thanks for such small gifts. This was a very special experience which would be cherished for a long time. One of the students compared the joy shown by the children on receiving a balloon to him receiving an Xbox. On day two we were up at seven, ready for the first of many massesin Malawi! The mass was outside and lasted over two and a half hours. Shannon, a fifth year pupil, described the mass as “fantastic, upbeat, energetic and lively”. The dancing and singing were amazing! Following the mass the students and staff took part in the Corpus Christi procession which was an experience the pupils loved. After lunch the buddies came and the St Matthew’s group got a walking tour of the city. This gave the students a chance to chat with each other before starting school on Monday. This was the start of many strong friendships with our partners. 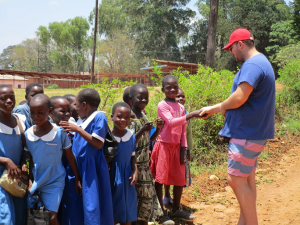 Walking into the city was a great opportunity for the students to learn about the different life experience of our hosts and view the beautiful landscape of Malawi. The following day we attended the form four graduation which started with another lively and lengthy mass. By this time we were used to it and were all dancing along with the Malawians. After mass we congregated to open the new Science Laboratory which was funded by St. Matthew’s. Miss Brady cut the ribbon and we all cheered. The headmaster of St Peter’s gave a speech to thank us and we all committed to the continuation of this strong Partnership. It was a very special moment to see what we have been working for over the last few years. Following the Laboratory ceremony we attended the graduation ceremony. After the speeches from both St Matthew’s and St Peter’s staff, the pupils received their graduation certificates. Then the St. Peter’s pupils performed for us all and we were amazed by the quality of their singing and dancing. Their confidence, enthusiasm and warmth was just bursting out of them all. They all seemed to be able to perform – which panicked us slightly as we were about to sing “Flower of Scotland” to the w hole audience! We did succeed, but our performance did not in any way match that of our Malawian friends. Our Partnership is very much about learning from each other and we learned a whole lot from this group. We shared their joy as they graduated, appreciated their talented performances and enjoyed the disco and ceilidh dancing which followed. Day four saw us join the pupils in St. Peter’s in class. We hadn’t realised until this point how lucky we are to have education at our fingertips and available to all. In Malawi, secondary education is not free and without our support at St. Matthew’s many of these pupils would not have access to that. What we take for granted is a gift for our friends in Mzuzu. The classes were fast-paced; one book shared among 6 – 7 pupils, copying everything down from an old blackboard, classes of 80 to 100 pupils. Very different from what we experience at home. It was wonderful to see the eagerness the pupils had for learning. And one which we hope to be able to take home to our friends in Scotland. After school, we took a trip up to visit an African village and were welcomed into the humble house of the Chief. This village was fascinating and entirely self-sufficient. They were very poor in terms of money, but managed to live with their produce. 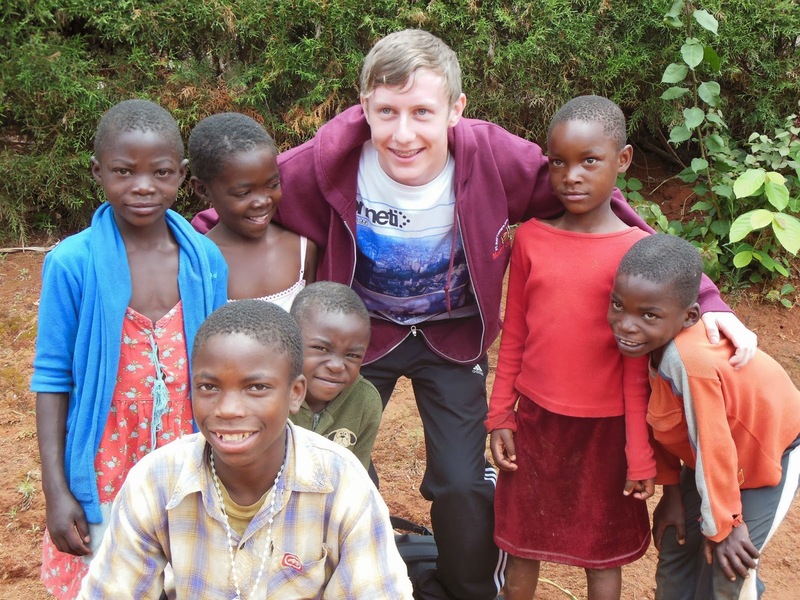 They were, however, like all the Malawians we met, very wealthy in terms of love and kindness. After years of illness due to poor water (which the women had to travel a long and dangerous walk to get), UNICEF installed a water pump 2 years ago. This will not only make life easier, but will improve the health of the village. Day five was reserved to take some of the pupils from our partner school St. Peter’s on a day trip to an animal reserve. The long bus journey meant we learned more about each other and had a chance to share experiences and wishes for our futures. Some of our pupils were shocked to learn that the majority of the Malawian students walk two hours to get to school, sometimes in the dark. We had a wonderful packed lunch with the pupils and a great day as the elephants were out in force to greet us! The next day was fun as we were given the task of teaching short lessons to our new friends. We worked in groups outside. Harry, a fifth year student at St. Matthew’s, commented on his “hilarious task of teaching Scottish words and expressions” to the St. Peter’s students. We all had an amazing time and laughed so much. 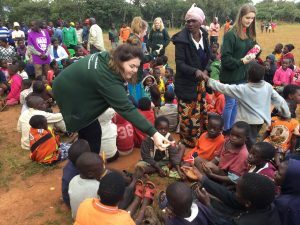 This experience allowed us to really bond and to learn a little more of the language of Malawi and the life of the pupils. The afternoon, however, was a challenging one when we took our gifts of blankets, clothes, toothbrushes, toys and baby clothes to the maternity unit at the local hospital. The conditions were much worse that what we had expected. There was only one doctor in the whole hospital and he was not always on duty. Jay Anderson, who is now studying medicine, said that on learning that this was a private hospital, he felt “profoundly sad” knowing that this was not available to all people but only the few who could afford it. We visited some of the new mothers in their sparse rooms and gave them gifts for their beautiful new-borns. Some of the students visited St John of God which has a mental health hospital in it. The conditions here were very much in contrast to St John’s Hospital and the students spoke highly of the facilities and the conditions. Day seven started with our farewell assembly at St Peter’s when we handed over the gifts of football and netball strips, pens and pencils donated by the St Matthew’s community. The interact group at St Matthew’s had also raised funds for solar lamps for the students at St Peter’s who were on the St Matthew’s bursary scheme. After the assembly we headed to the primary schools in the compound to entertain and play with the kids. They adored trying on the boys’ kilts and singing songs with us. They, too, were amazing performers and put us to shame! We delivered our presents to the different Primary Schools along with the letters and presents from our own cluster primary schools in Scotland. It was so lovely to see the joy and excitement on the pupils’ faces. We taught them various Scottish songs, and were delighted to hear them still singing them long after we left each classroom. Again we reflected on our opportunities in Scotland as the Primary children were a around 90 – 100 to a class, with no desks, no books, no pens and no paper. This, for all of us, was a real life experience. After we ate lunch we went to the Women’s Development Centre, where we provided lunch for the many children and orphans there. It was a magical – yet heart-breaking – experience to hand out the food to the children as they lined up with their little plastic plates and mugs. We saw the excitement and pleasure in their eyes as for some of them this was the only time they would eat meat this year. For others this was an occasion to fill up for the next time they would eat again. Following a short overnight break at Nhkata Bay, it was time to return for the last masses and school experiences. We had long, deep debriefing conversations before agreeing that we would use our funds to support Mary Martha achieve the final stage of their NGO status; continue to send Christmas parcels and fund Christmas and Independence Day parties for both the Women’s Development Centre and Mary Martha Orphanage; provide jotters for bursary students for St Peters; provide calculators and textbooks for St. Peter’s, and complete the furnishing of the science laboratories. We spent the last night with the priests and the various friends and partners and informed them of our intention to help them. In true Malawi style, the evening was very formal with lots of hand shaking and speeches. Our partners were so grateful for all the help we have been providing. With these projects, St. Matthew’s tries to ensure that this is a partnership and that we help each other. The funds are provided to help the projects grow and flourish, with the aid of the people in Malawi itself. The science block was built by local people to ensure the money we provide helps everyone and stays in the country. It also ensures that people learn and progress. We, as a group, learned a great deal from our friends in Malawi which we will take home to our community in Scotland. We made a firm promise to our Partners not to forget this “warm heart of Africa” and to continue our joint work in order to ensure the sustainability of our Partnership. Finally, due to our work in Mzuzu, we were lucky enough to win a Scottish Malawi Partnership member award, which four of our teachers collected in Edinburgh. We shared this fantastic news with St. Peter’s in Malawi, as after all, we could not have done it alone! That is why our Partnership is a huge, ongoing success! 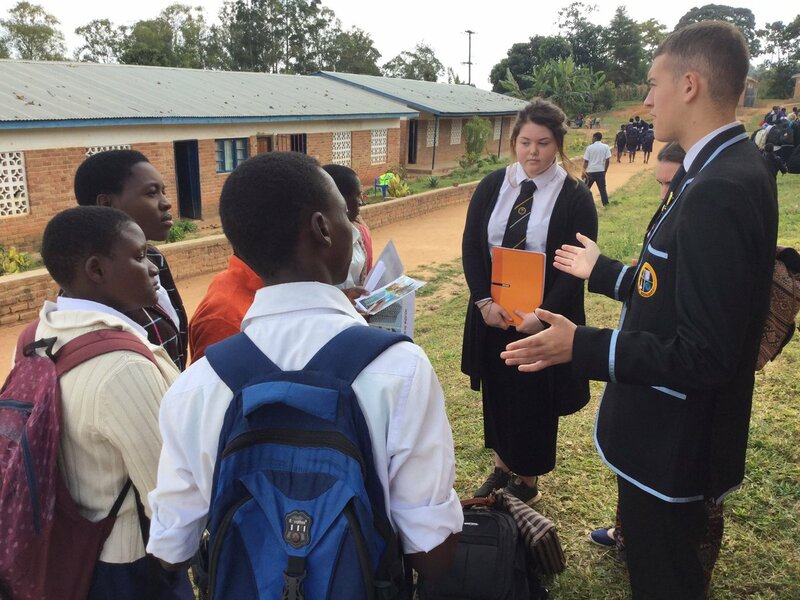 In the autumn of 2013 a group of pupils and staff from St Matthew’s Academy travelled to the Diocese of Mzuzu and worked closely with our partners in Saint Peter’s Secondary. This partnership goes to the heart of the Catholic values which we as a school community strive to inspire in our young people. The partnership was originally started by Bernadette McFadden, a Mathematics teacher who worked in Saint Peter’s School for a year, and has continued to go from strength to strength. This was our third visit to Saint Peter’s as a school group. We have also organised and supported two groups of pupils and teachers from Saint Peter’s on visits to Scotland. The Saint Matthew’s group was accompanied throughout the visit by local Malawian priests Fr Philip and Fr Edmund. Group members were welcomed to the town by Bishop Joseph Mukasa Zuza of Mzuzu, who celebrated Mass upon their arrival. The group was given a tour of the area around Saint Peter’s parish before visiting the school. They were impressed at the amount of supplies the school had, some of which had been donated by some of our associate Primaries – Saint Mary’s Primary School in Largs and Saint Mark’s Primary School in Irvine. The group also visited Marymount Secondary, the top Catholic girls’ school in the area, and Lucalazi Secondary. 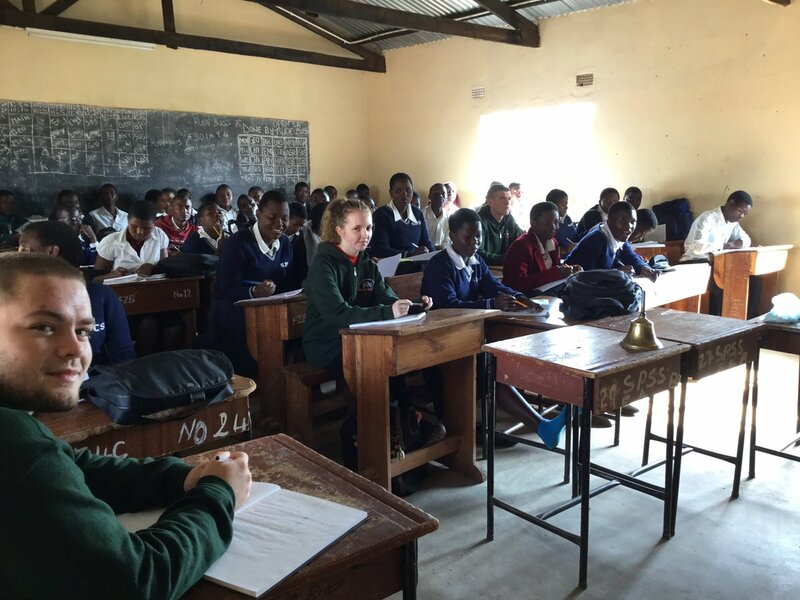 The Saint Matthew’s community pays the fees for 27 pupils at Lucalazi. 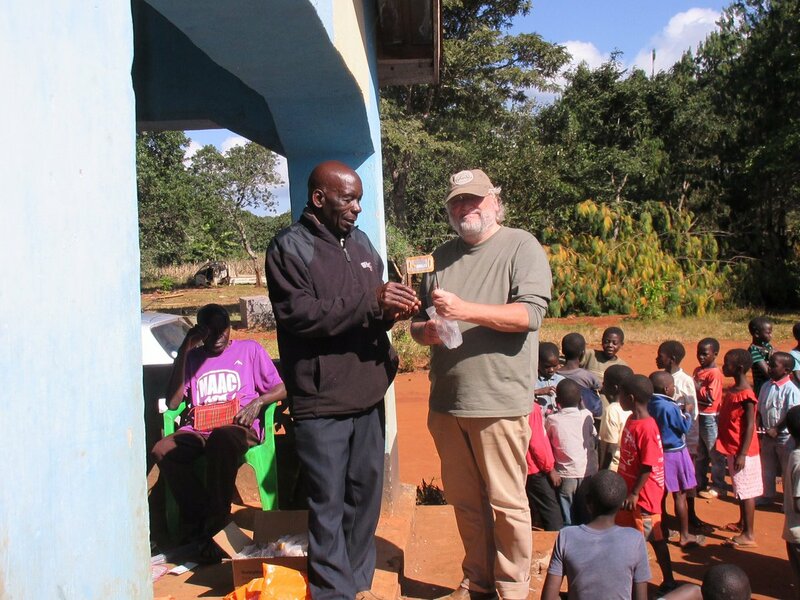 Fr Philip later took our students and staff to the Mary Martha Orphanage, a safe place where orphaned children are provided with regular meals, opportunities to speak to other children in the same circumstances and seek advice from older members of the community. 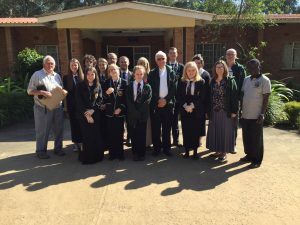 Whilst in Malawi, the group visited Saint John’s Hospital where they donated syringes, catheters, bandages and other supplies. The Malawi fundraising committee is currently planning for a return visit from members of the Saint Peter’s school community. It is hoped that 2 members of staff and 6 students will become part of our school community in the spring of 2015 for approximately one week. This visit is currently one of the key fundraising aims of our school and a number of events have already taken place, including a very successful bucket collection outside Celtic Park. Our next fundraising event will take place within the school on October the 3oth. All members of our school community are invited to our Bingo evening which we are sure will be an enjoyable event designed to help us reach our fundraising target. In addition to our planned visit of our partner school we also support approximately 100 children into Secondary education in Malawi through our Orphan Scholarship Scheme. Payments are made in appropriate stages, directly into Saint Peter’s Secondary School account by international bank transfer. This scheme relies on the support of our school community by providing fees which allow young people in Mzuzu to access an education which would otherwise be denied to them. It takes £12 a month to support one pupil. However we realise that this is a large commitment and would be grateful for any regular contribution to our Scholarship Scheme. If you feel that you would like to support this work please contact Mr McGuigan here at the school. Any contribution no matter how large or small will go towards making a positive impact on the lives of the young people this scheme supports. As you will be aware from the last Malawi newsletter a group from St Matthew’s Academy had the privilege of visiting St Peter’s in Malawi in October 2013. We have extended an invitation for a group from St Peter’s to visit us in March 2015. The group will consist of two adults and 6 pupils. The main outlay for this visit will be the cost of flights as pupils and staff will be accommodated by our own community. Our young people in St Matthew’s gain an insight into other young peoples’ lives and find out how their efforts here help people in other places. They provide a once in a lifetime experience for our visitors, many of whom have never left their local area never mind their own country. It is through these visits that those from amongst our generous local community who contribute to our Orphan Scholarship fund get to meet the young people they support in Malawi and hear first hand the benefits the Orphan Scholarship provides. £500 from the non uniform day in September. £1500 from bucket collection at Parkhead. £160 from bucket collections at October assemblies. 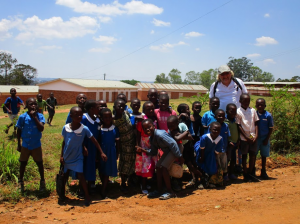 Paul Carmichael (recently retired PT Social Subjects, St Matthew’s) and Anne Carmichael (former Headteacher of St Mary’s, Largs) left in October to live and work for two years over in Mzuzu. They have both been asked by the local Bishop to work with the Women’s Development centre. This organisation works with young people who have lost one or both parents by providing them with meals and support and advice. It is not uncommon for young people to be the heads of families to younger brothers and sisters. Paul and Anne are familiar with Modesta who runs this centre having met with her on their many previous visits. On October 20th 200 Christmas Gift parcels were sent off to Mzuzu. 100 will go to the Women’s Development Centre and another 100 will go to the Mary Martha Orphan centre. We have been sending these gifts for several years and we know that they are very much appreciated. We send them now to ensure they arrive on time. On the 10th October we sent our first of three instalments to pay for fees for the young people we support in St Peter’s Secondary and Lucalazi Secondary. This amounted to the sum of £3,700 .Your kind donations support 100 students in full time Education. We are always looking for new ideas for fundraising particularly to raise the money for the forthcoming visit to St Matthew’s from our friends in Malawi. Could you help or do you know any one who could or would like to be a sponsor. Please contact Mr McGuigan on 01294 606680.